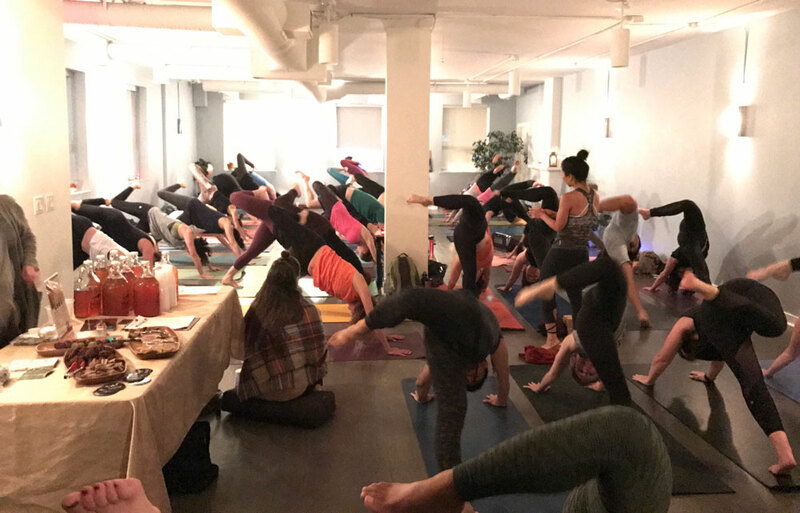 The second of the four Your Yoga Collective events came together in May as we went back to school yogi-style to engage our bodies, spirits, or minds. In continuing with a tradition started with INTEND, Pooja Tolani opened the day with a traditional puja ceremony, from there people were able to choose from nine classes themed to either focus on either asana & movement, mantra & philosophy, or professional development. In addition to choosing three of these classes, there were two 'assembly' yoga classes opening and closing the day. INTEND was the first of four Your Yoga Collective events designed to nourish practitioners through the season. It was a day focused on clearing our hearts and minds and preparing us to set our goals and intentions for the new year. Pooja Tolani set the tone with a traditional Puja Ceremony and from there we had practices guided by Ally Bogard and Christine Price Clark, yoga nidra with Tanis Fishman, and live music and mantra from Sundari. Each guest in attendance had access to a curated market with unique yogi-approved products and left with a special gift to help them sow their dreams in 2018. 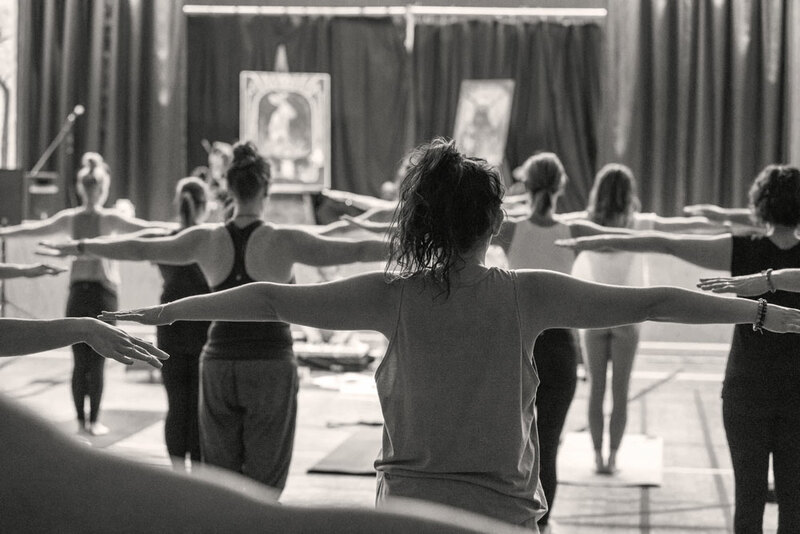 Hosted at the Chinese Cultural Centre, over 400 attendees spent three days together in Calgary's first-ever yoga festival. 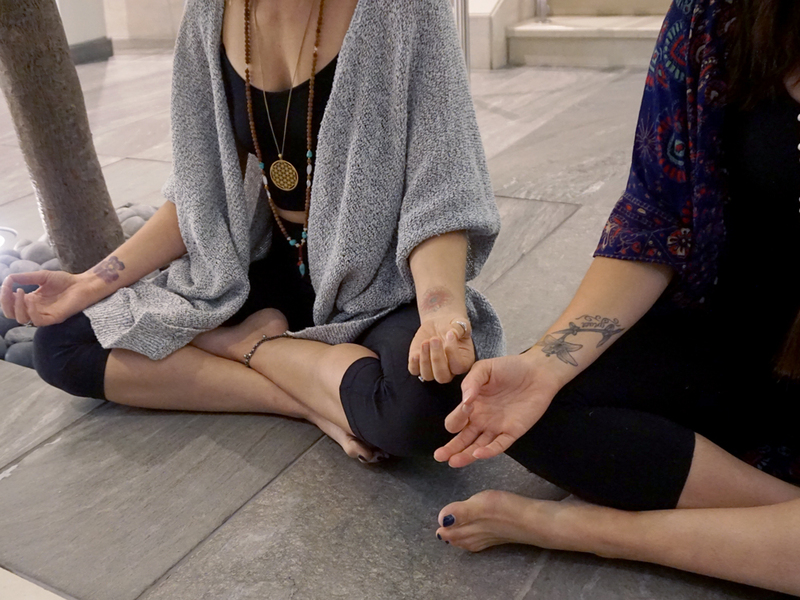 There were over 85 classes to choose from, including meditation, nutrition, and dance, eight varieties of yoga, and workshops (like mala-making). To top it off, there was a marketplace where you could peruse yogi apparel, get a massage, taste some food and learn about a couple studios in the city. View the inaugural schedule, including lineup of instructors and speakers. We flowed in a gentle yoga class led by Jennifer Teasdale and grooved to the musical accompaniment of DJ Sabo Farte. To close the class, Tanya Ryan played her acoustic guitar and sang in that heavenly voice of hers. Afterwards, we headed back to the bar then let the beer flow! Hosted at Prema Health, Jackie Dumaine kicked the evening off by sharing her knowledge of the yamas and niyamas. Following this, Alice Hong led a beautiful, strong class to help celebrate the inaugural PYF schedule launch. The room smelled amazing courtesy of Young Living Essential Oils and afterwards, we celebrated with snacks from TrueBuch and Nourish Bakery. From discounts to new events, we want you to be the first to know of amazing things happening with to the Prana Yoga Festival. Invite us into your inbox and we promise you won't be disappointed. Welcome to the Prana Yoga Festival community!